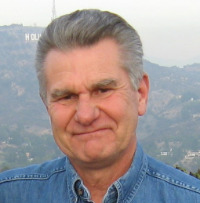 Following a career in the US Air Force, Joe became a manager with Lockheed Martin and led several groups in satellite operations. While in the Air Force he logged over 5,000 hours as a pilot in C-141 and C-17 jet transports. 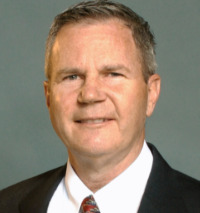 He is a 1977 graduate of the USAF Academy and holds two additional Masters degrees. He now uses his leadership experience serving as President of the EChO Board of Directors. Joe also volunteers with the Evergreen Shelter Program (ESP), EChO Job Center, and through singing and playing guitar and bass in the Bergen Park Church worship band. Joe is also an avid hiker, scuba diver, skier, and photographer. 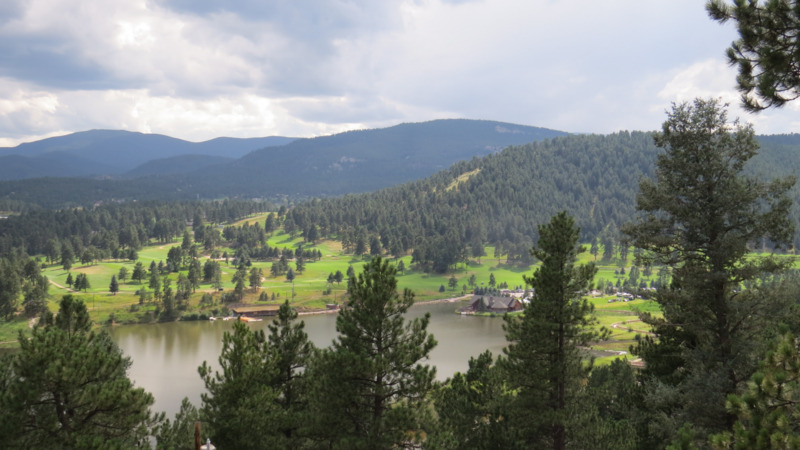 He has lived in Evergreen since 2010 with Louise, his wife of over 40 years. His adult son Brian also lives and works in Evergreen. Ray Dowdle is currently Vice President of the EChO Board. Ray grew up in Colorado, attended the University of Colorado. He and his wife Cathy have been married for 29 years and have lived in Evergreen since 1991 while raising their sons; Rick, Patrick, and Jack. Ray is president of AdGorilla, a provider of software and services to the cable and broadcast television industry, and previously was Vice President of Sales for the FOX Television Stations group for 15 years. Ray brings his experience in strategic planning, finance, and project management to EChO. 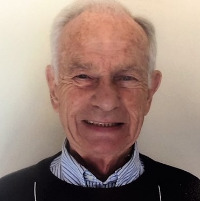 Ray remains an active volunteer with Christ the King Catholic Church, previously as General Chair of the Building on Faith fundraising and building campaigns. Jean Wells has been married to Mike Wells for 51 years. She was born and raised in Illinois, graduated from the University of Illinois with a Bachelor of Accountancy. Jean is a retired CPA in Colorado and has served as Treasurer of the EChO Board of Directors for nine years. Beginning in January 2019, Jean will continue to serve on EChO's Board as Secretary. and as a member of the both the Finance and Fundraising Committees. She volunteers at the EChO Resale Shop and is an active volunteer and member at Christ the King Catholic Church. 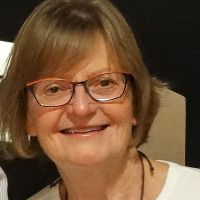 Jean has been the Vendor Co-Coordinator for Alternative Gift Fair for since 2014. Sue Dunlop moved to the Evergreen area from Wichita, Kansas in 2013 to be closer to her and her husband's children. Sue holds a B.S. from Vanderbilt University in Economics and Business. 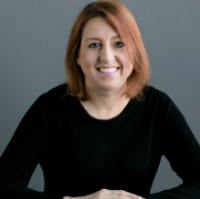 Beginning in January 2019, Sue agreed to serve as Treasurer on EChO's Board of Directors. Sue currently works part-time as an accountant for clients she had while living in Wichita. She also volunteers at the EChO Resale Shop, serves on the board of Evergreen Newcomers and Neighbors, belongs to P.E.O. which is a philanthropic educational organization for women built upon service and philanthropy and Daughters of the American Revolution. Mark grew up in Ohio and Wisconsin but has been in living in Evergreen since 2001. Mark worked for Coors Brewing Company as Corporate Director of Employee and Labor Relations. He holds both a B.S. degree and a Master's degree. During 2008, Mark began volunteering for Evergreen Christian Outreach by helping unemployed clients find jobs. 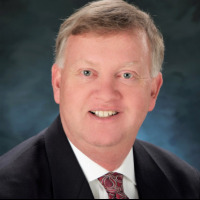 Mark served as President of the Board of Directors during 2016-2017. One of his primary goals while serving at EChO is to help move clients to self-sustainability. Mark has three children and seven grandchildren and enjoys following the University of Wisconsin Badgers and the Green Bay Packers. 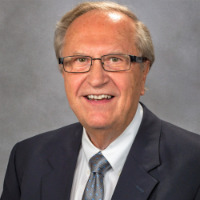 Currently retired after serving as Western Area Sales Manager for Chrysler Corporation for forty-two years, Jim Dries to Evergreen Christian Outreach during 2008. He first volunteered and served as a coach and reading tutor when EChO’s Job Center opened in 2012. Jim is presently serving his third year as an EChO Board member. 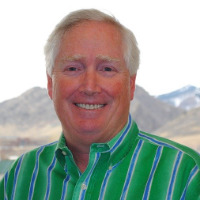 The primary reason for Jim's involvement with EChO is to assist wherever possible, using his talents to serve the urgent needs of those members of our mountain community. Susanne Robert is President of S.C. Robert, CPA. 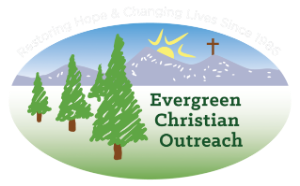 PC in Evergreen, Colorado and serves on the Board of Evergreen Christian Outreach. 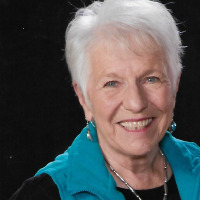 She is a Past President of Mountain Foothills Rotary. 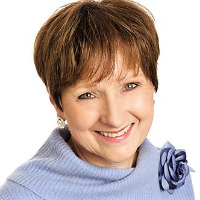 Susanne is also a Board Member of Women of Evergreen Businesses (W.E.B) and an Ambassador with the Evergreen Chamber of Commerce. She believes being active in all parts of the community is essential and really enjoys helping those in need. Ken Carlson, along with Bruce Thoms, started the EChO Job Center job training program in 2012 with the objective of helping people learn interviewing and networking skills to find employment. Ken has served on the Board of Directors since 2016. Ken also serves on the Fundraising Committee, Finance Committee and Nominating Committee and volunteers his time a mentor at the EChO Job Center. Also serve on the Board of Directors for Mile Hi Church and is President of Evergreen Pathfnders. Arnold (Bud) Madigan and his wife Sandy have been residents of Evergreen since 1987. He presently serves as a member of EChO's Advisory Committee and previously served on the Fundraising Committee. Bud is a former Board President. Sandy Madigan is a former Executive Director of Evergreen Christian Outreach and still volunteers at EChO Resale Shop. Bud holds both a B.A. from Princeton University and Juris Doctorate from University of Denver Law School. He was Corporate Counsel to natural gas utilities. Bud served on the Board of Big Brothers and Big Sisters and volunteered as a ski coach for NSCD (National Ski Center for the Disabled). Gretchen was born and raised in Minnesota. She graduated from University of Minnesota with a B.S. degree in Special Education and has M.A. degree from Lesley College in Boston, MA. She is married to Dr. John MacArthur and has three children. Gretchen is a Senior Director with Mary Kay Cosmetics, Inc., a career she began in 1968. After moving to Colorado in 2007, Gretchen served as President of Evergreen Rotary during 2011-12. She is an Evergreen Chamber of Commerce Ambassador and volunteers regularly at Echo Resale and Senior Resource Center. 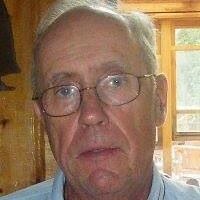 Art Martin was a Science teacher in Michigan for 33 years and after retiring moved to Evergreen in 2006. Art started volunteering at the EChO food bank that year and was very impressed with the services provided. When an EChO board member at Lutheran Church of the Cross retired, Art filled her vacancy and served for over 10 years. He feels that EChO provides a great way for volunteers and donors to serve God and help their neighbors. 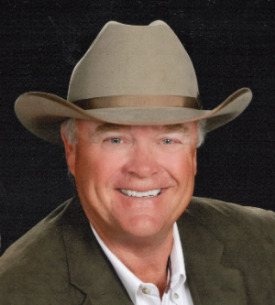 John Olson is a semi-retired attorney who is passionate about serving others in need. He is actively involved with EChO's Board and serves on the Governance, Strategic Planning and Fundraising Committees. John has served an several Boards, including Habitat for Humanity and Second Chance Animal Rescue in Mason, Texas. He and his wife Karen are active members of the United Methodist Church in Evergreen where John has served on the Finance Committee. In his spare time John enjoys fly fishing, playing golf and spending time with his grandchildren. 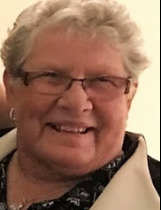 Over the last 14 years that Pat and her family have made Evergreen their home, she has strongly supported the efforts of EChO to improve people’s lives. The programs EChO offers offered have changed and expanded over the years to address the needs of the community. She is proud to be an Advisory Board Member and a volunteer dedicated to helping those with the greatest needs.